I was working with the data warehouse team at a customer site and at some point we realized that some parallel executions are not getting enough resources (downgraded). Not getting enough parallel processes in such a complex environment is really bad. That means that since everybody is hogging the CPU, some sessions will not be able to complete inside the night ETL time frame. If that happens – some ETLs will go on into the day providing wrong data to the customer in even worse performance for the morning shift. Another aspect is the memory usage for large sorts or hash joins. Using less processes will mean some of the data will not reside in the memory and will need to be allocated in the temporary tablespace. The customer asked how can he find those downgraded (meaning, not getting enough parallel processes) at real time. This is the script we created for that. One of my customers asked me to check performance on his production database server but could not allow any access to the server itself. He asked if I could generate the AWR reports from his client machine and since it’s not really trivial (or hard) I created this script. 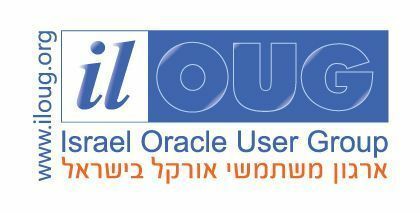 I have a confession: I love Oracle User Groups. Here. I said it. I think that the idea of a community gathered around common professional interests and expertise are great. It’s an opportunity to meet you colleague and learn a thing or two you don’t get to work with on a daily basis from your peers. For junior DBAs it’s even more important. They have the opportunity to look into their future and see where they want to be when they get more experienced. In my opinion, networking is SUPER important! tl;dr: ilOUG is reinstating the quarterly SIG meetings, I’m one of the organizers, join us if you’re in Israel! In some conditions, I need to find the top N queries for a specific user in the database. Assuming my customer is running Enterprise Edition and have tuning pack licenses, it is easy enough to pull the data off the Automatic Workload Repository (AWR). For some reason, a lot of DBAs are not aware that the AWR report is just a report – and you can query the base table yourself to extract more information if you need it. This is a short script I sometime find very useful – finding the top N queries for a specific user. Here is a common question I get from junior DBAs (and operating system who tries to help by installing the Oracle Home themselves). 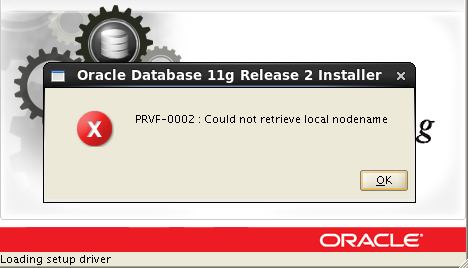 The question sometimes sounds like this: “After we installed the new database server and changed its hostname, we try to install the Oracle Home using the runInstaller but hitting the following error: PRVF-0002: Could not retrieve local nodename. How do we resolve it?”. Indeed, a problem – but what can it be? Starting Oracle 10g, the old export/import tools were replaced by a newer, more sophisticated tool: the data pump. This new tool had some advantages over the older tool – it was able to run in parallel, it has a better interface and it can be ran from PL/SQL code easily. It can even be restarted or resumed if needed. On the con side, it uses the database DIRECTORY object which means the file we’re exporting to or importing from must reside on the server. The problem start when we try to diagnose what is going on when there is a performance issue. Since the process we use for exporting might be forked into multiple processes, we can’t really know what is going on behind the scenes. So, how can we resolve that? Enter your email address to subscribe to the blog, and never miss a post again!